Report: Israel offered Abbas treatment in Israel, and later sent doctors to treat PA leader in Ramallah. Israel’s leadership is increasingly concerned by that Palestinian Authority chief Mahmoud Abbas’ health problems pose a serious threat to his life, and have offered medical assistance to the aging leader in Ramallah, according to a report by Yediot Ahronot. Abbas, 83, was hospitalized repeatedly twice in May 2018, complaining of chest pains and fever, along with an ear condition requiring surgery. His doctors feared that Abbas, a heavy smoker, was in life-threatening danger, the report claimed. 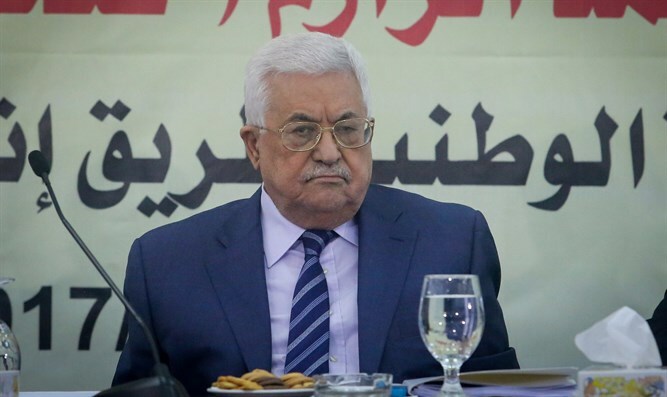 Amid fears the PA leader could die and leave a power vacuum in Ramallah or be replaced in subsequent elections by a member of Hamas, Israel offered to provide Abbas with top-of-the-line medical treatment at an Israeli hospital. Abbas’ office considered but ultimately rejected the offer, possibly out of fear that being seen in an Israeli hospital could stoke popular opposition to Abbas within the PA. Despite the refusal, Israel dispatched doctors to Ramallah to treat Abbas last May, resulting in a marked improvement in the PA leader’s condition, resulting in his being released from the hospital.